The pop of a cork. The trickle of an empty bottle. The swish of a full glass. The fruity aromas dance along your nose. The sweetness washes over your palate. Wine is a quintessentially human enterprise. It evokes distinct and personal connections through our inner nature, bringing us together in search of the perfect vintage. 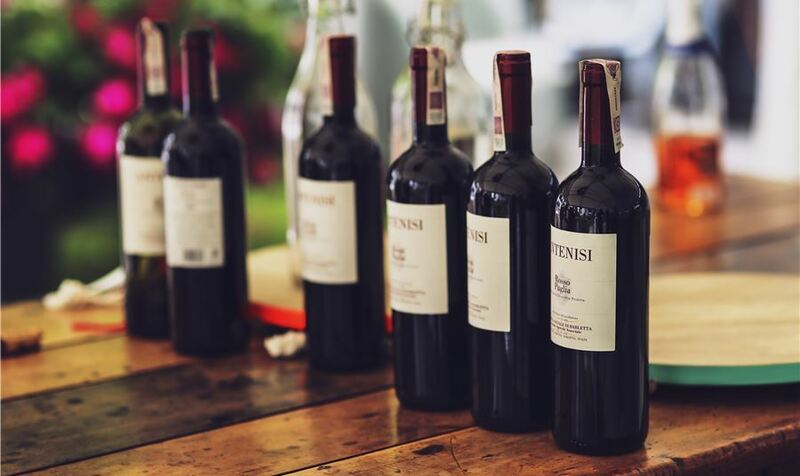 Our societal diversity is reflected in the different types of wine found both locally and globally around the world. With so many options out there, tasting and judging wine becomes an art in and of itself. We call these experts “Sommelier”, or wine steward, those trained individuals entrusted with the knowledge and expertise of this sacred culinary expose. For most of us at home, a restaurant or their favorite vineyard, trying our luck at tasting wine can be a bit like fumbling for the light switch in the middle of the night; we know the general idea of where we’re going, but can embarrass ourselves with clumsy attempts to succeed. That’s why we take wine tasting classes and listen to the experts who have studied and studied and studied all their lives. It’s a tough job, but someone has to do it right? Lucky for us at The Otesaga, we have a special series of wine tasting classes coming up hosted by Sommelier Chad Douglass, who gave us some tips for how to best go about tasting a fine wine. Being a certified Sommelier takes time and energy studying the long-standing profession of wine making. For many people, finding the time to commit to research on wine is not possible with work, family, travel and other obligations. But simply familiarizing yourself with things such as the basic processes of wine making can significantly help you understand what makes a good wine from a bad one. You can also quickly research online the different styles of wine out there to get a brief idea of the variations within the industry. The conditions of your tasting experience can have a tremendous effect on your ability to pick out and perceive specific aromas and details in the wine. Temperature, noise, odors and cleanliness are all controllable factors that are meticulously monitored by professionals. For those of you just getting into wine tasting, keep it simple; taste your wine in a quiet area without distraction. Make sure your glass is clean and devoid of any residue or mustiness. Have you cleaned the house with a strong cleanser recently? Do you have a pet? Did you cook recently? These things can create aromas that muddle or distract our noses from perceiving the purity of the wine’s flavor. Aroma makes up a significant portion of our ability to taste, so this can discolor the flavor as well. The first thing to do when tasting a wine is to just look. Admire the color, opacity and weight of the wine in the glass. Next is giving it a swirl. Swirling isn’t something a sommelier does to look sophisticated or superior. It has a practical effect; swirling can give visual clues as to the wines’ composition. In addition to the visual effects, swirling your wine in a glass helps to release aromas. Agitating the liquid helps pull out the different aromatics of the wine, increasing the ability to taste the subtleties of the vintage as well. Finally, give it a sniff…but don’t shove your nose all the way into the glass. Give it more of a drive-by sniff, and give your nose a break between trying to pick out the various aromatic components. Wine isn’t all pursed lips, serious faces or snobby commentary. Wine is supposed to be enjoyed, so have some fun with it! Invite a friend over to try tasting some different styles of wine and see what aromas and flavors come to each of you. Every palate is unique and you should celebrate the differences you get in each glass. Try exciting food pairings with different cheeses, meats and meals to see the wonderful ways wine can enhance the flavor of your food. The more you learn about your own palate, what you like and don’t like in wine, the more you will perfect your understanding of the profession. Attending a wine tasting class is a fun and enriching experience. If you truly wish to become a better wine connoisseur, then you need to make the commitment to learn more about the practice. Wine tasting classes are an excellent way to introduce your self to the world of tasting. Luckily for you, The Otesaga Resort Hotel is offering wine classes with yours truly, Chad Douglass. Stop by for great wine and the chance to learn all about one of humankind’s oldest hobbies on January 20th, February 17th, March 24th, or April 21st.